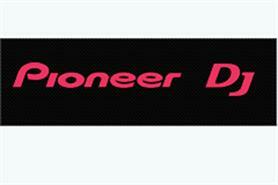 Pioneer is to take around 50 of its top dealers to Ibiza next June as part of its global Pioneer Forward programme. The professional DJ equipment manufacturer has appointed agency River Marketing, which has worked on the incentive programme for the past five years, to organise the event. The agency hosted its own event at Ibiza's Ushuaia Hotel this month for key and prospective clients. Pioneer European head of marketing and global head of digital Mark Grotefeld said: "We really appreciate the strong working relationship we have with River, which has organised fantastic channel incentive programmes for Pioneer." River Marketing managing director Phil Dunk added: "Through introductions to Pioneer's contacts on the Spanish island, we have access to the very best hotels, bars and clubs. This enables us to arrange truly unique money-can't-buy experiences to reward Pioneer's top-performing dealers." The performance improvement and motivation agency also works for clients including Jaguar, HSBC, Mercedez-Benz and Porsche.